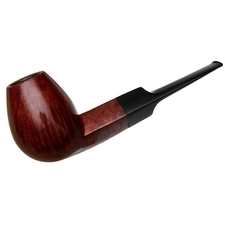 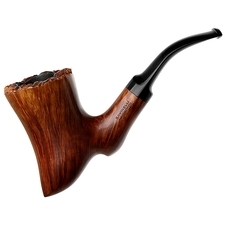 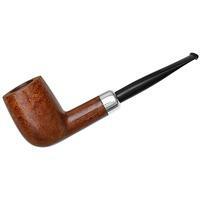 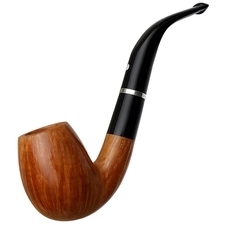 Combining bold, Italian proportions with an almost gestural flow in profile, this bent Egg is one of the Roveras more elegant designs, even despite its House Pipe size. 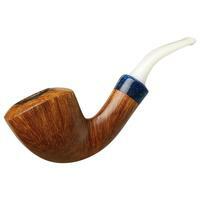 The lifting heel flows effortlessly into the serpentine lines of the shank and stem, aided by the strong sweep of the deep transition. 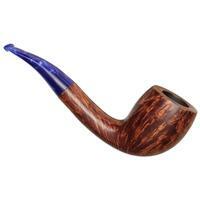 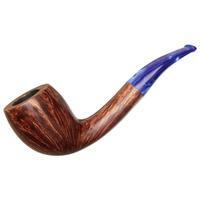 Fitting for such an active shape, it's presented in quite a lively palette as well: a vivid, warm contrast stain for the briar set to a mouthpiece of bright, electric blue acrylic. 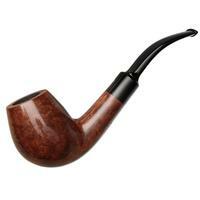 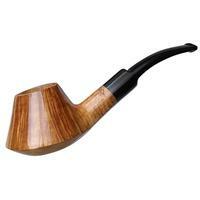 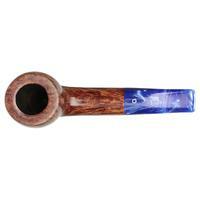 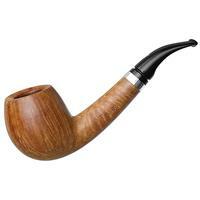 Bowl Height: 2.10 in./53.34 mm. 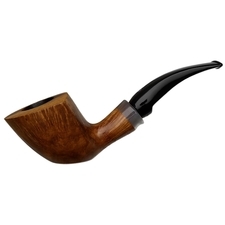 Outside Diameter: 1.73 in./43.94 mm.